This is our reference NY-12510. 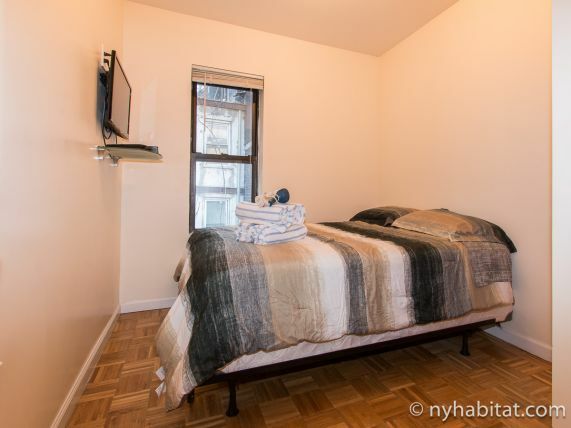 This one bedroom apartment on 40th Street &amp; Eighth Avenue is in the Manhattan neighborhood of Midtown West. Set in a low-rise apartment building, this rental is on the fifth of six floors. 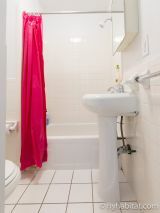 In such a prime location, you will have easy access to attractions, convenience stores, and transportation. 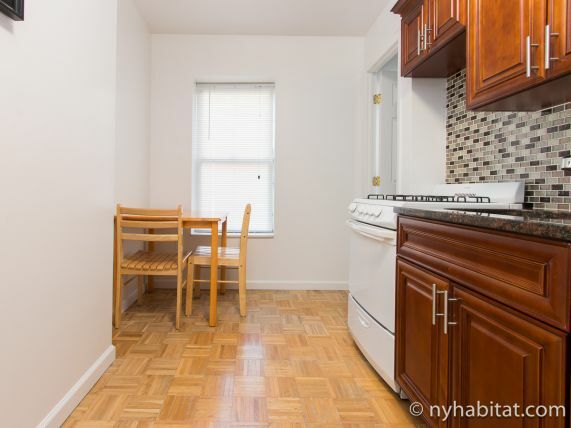 This furnished one bedroom apartment provides privacy and ease of access. The front floor leads to a living area and open kitchen with parquet wood flooring, a granite countertop, and dining table for two. 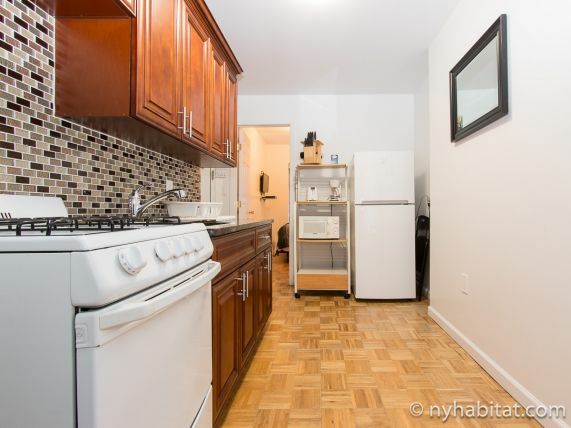 The kitchen appliances are all full sized which includes a refrigerator and gas stove. There is an elegant tiled backsplash that brings beauty in unexpected places. 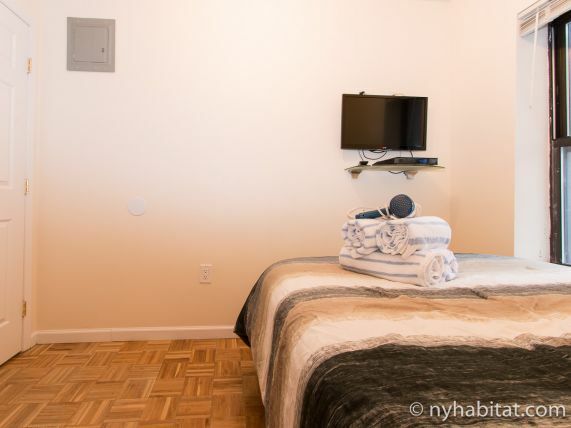 The bedroom is furnished with a double size bed, fresh sheets, and a flat-screen television. The apartment for rent is right around the corner from the Port Authority Bus Terminal and the New York Times building (0.1mi/170m). Times Square is minutes away which is home to the city&rsquo;s theater district and offers some of the most iconic New York City sites (0.4mi/600m). If you&rsquo;re looking for some quiet, head to Hell&rsquo;s Kitchen which extends past Ninth Avenue and is home to many restaurants and bars such as casual Peruvian food at Pio Pio (0.5mi/800m). For access to the rest of NYC, most major subway lines are at your fingertips in Midtown West including the A/C/E at 42 Street / 8 Avenue : Port Authority Bus Terminal (29m/95ft) and the 1/2/3/N/Q/R/W/S/7 at 42 Street / 7 Avenue / Broadway : Times Square(0.4mi/600m).